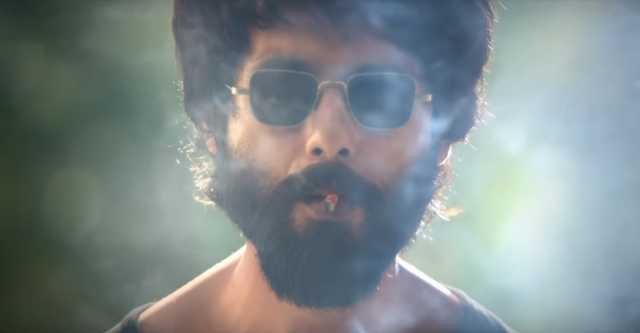 Sandeep Reddy Vanga's Kabir Singh (2019) captures the intense masculinity that defined its original, Arjun Reddy (2018). The first teaser of the Shahid Kapoor-starrer was released by the makers today, and features the actor in a more macho upgrade of his Udta Punjab (2016) character. The teaser begins with the high profile introduction of Kabir Rajvir Singh (Kapoor) as the best medical student to pass out of the Delhi Medical Sciences College. This introduction stays true to the original story of a doctor who spirals into the devious ways of drugs, alcohol, and substance abuse after failing in love. The next few visuals capture the rage and violence that fuels Kabir Singh's attitude towards life and work. While he is a teetotaller and non-smoker in real life, Kapoor seems to have taken to the character as we see him swilling whiskey and smoking cigarettes marking the most important feature of his appearance. The swagger also spills into the way Kabir Singh approaches love. Kiara Advani makes an appearance in the teaser as the love interest of the doctor, who forms a key point of his character transformation. The film is directed by Vanga, who also directed the original featuring Vijay Deverakonda. Kabir Singh will be in theatres on 21 June 2019.